To protect buyer and seller\'s rights, please check the parcel in front of postman before signature. If damaged please refuse the parcel before sign on it. Or we will not respond to any damage after signature. This Power Aquarium Filter(2000L/h) with 9W UVC clarifier is the right choice if you are passionate about aqua life! The impressive 2000L/h filtration is enough for aquariums of up to 500 litres ! This amazing water flow rate only consumes 55 watts, so it is very energy efficient. Very easy to set up and use, all you need is to add water, filtering materials and push the button! 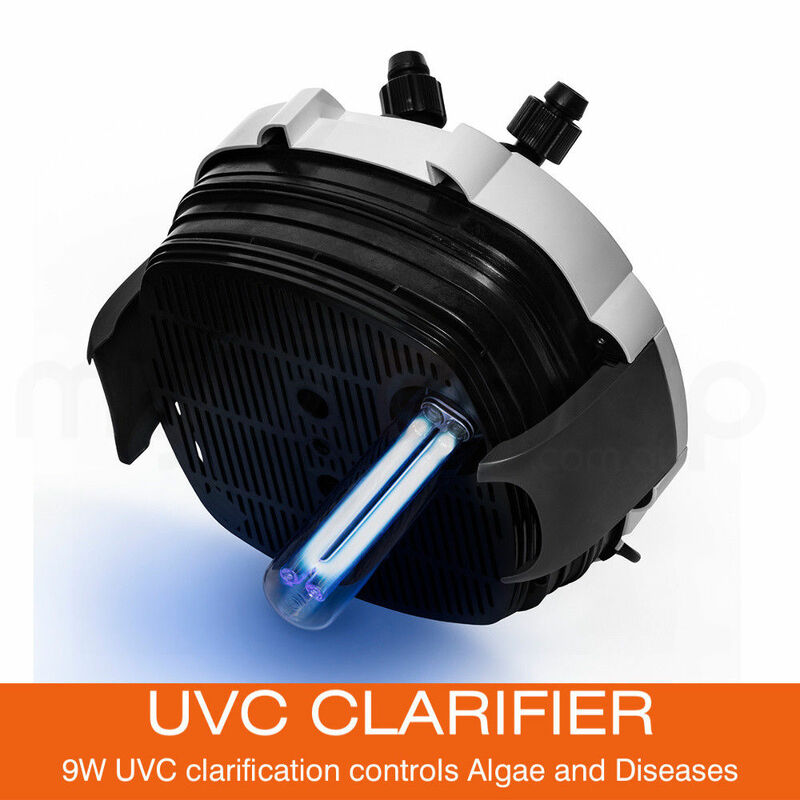 In addition to that, it comes with a UV lamp in order to improve the control of bacteria and algae. This improves your water quality by sterilizing impurities and dangerous diseases. It is extremely beneficial to single tank system. The amazing multi-level filter is capable of offering you the best filtration system as it can hold large quantities of mechanical, biological and chemical filtering materials! The 4 filtration baskets come with handy handles and allow you to make many different filtering combinations, hence, they give you more flexibility and control over the quality of the water of your tank. The ideal filtering materials are sponge, ceramic noodles, bio balls and carbon(NOT INCLUDED). 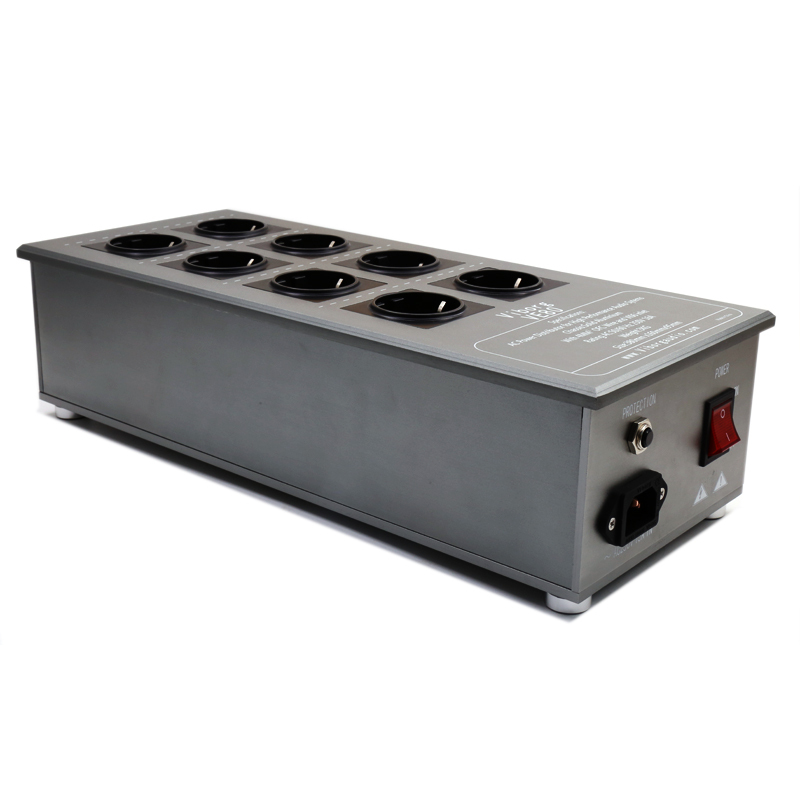 It is made of high-quality durable PVC construction to ensure a long lasting service life. Very compact design allows you to save space in your house as well.